While the air conditioning system in your vehicle keeps you comfortable, it does so much more than that. Your air conditioning is responsible for clearing frost and fog from your windows in cold and damp weather, by drawing out moisture from the cabin's air. In this way, your air conditioning ensures you can safely see through your windows while driving in inclement weather, in addition to keeping you cool when the mercury rises. 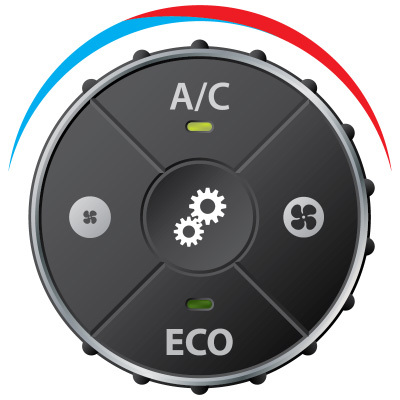 The air conditioning system on your vehicle has different facets which must work together in order to operate efficiently: The A/C compressor must pressurize the system. The seals, gaskets and lines have to seal in the refrigerant. The condenser and evaporator need to be clear and free-flowing. The sensors, controls and wiring need to operate properly. If any one of these components, or any other A/C system parts, aren't working as they should, your air conditioning won't operate most efficiently. In extreme cases, it may not function at all. 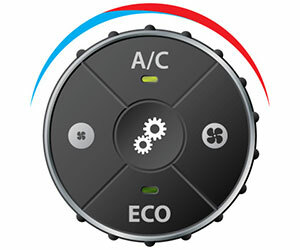 Timely auto air conditioning repairs can eliminate more costly and in-depth repairs. They help prevent additional A/C component failures, such as a seized compressor due to lack of lubrication from a leak. At Babcock Auto Care, our professional ASE-Certified technicians address every A/C repair we see. Whether your older car needs a retrofit from R-12 to R134A refrigerant, your Honda requires a receiver/drier replacement, or your Dodge has a leaking condenser, our technicians know how best to do the work. We use the latest repair procedures and cutting-edge technology to diagnose your ill-performing A/C, and we use high-tech tools and equipment to conduct each auto air conditioning repair job. We always use high-quality parts for the longest-lasting repairs, and we back them with the best warranty in the business. At Babcock Auto Care we understand the importance of a clean environment in our community. We make it a priority to ensure we do our part to follow the proper procedures in disposing of refrigerant according to standards indicated. Additionally, our technicians are trained and certified as required by law in Section 609 of the Clean Air Act. For more information, click here.